When it comes to my favorite things in Orlando, the good folks over at the Tamale Co. Food Truck rank really high on my list. With a 100% gluten-free menu and the best tamales in all the land, there's plenty to love about Tamale Co. and their team. I first discovered the truck at a food truck round up in June of 2014. Ever since, I have been a frequent customer whenever I make it back to Orlando, often finding them at local Farmers' Markets and food truck assemblies. After years as a loyal fan, I figured it was about time to give Tamale Co. a dedicated post all their own. Before going any further, here's a primer on what exactly a tamale is. A traditional Mexican dish, a tamale is simply corn mesa wrapped around a filling (meat or beans) and steamed in a corn husk. From there it can be topped with sauces, cheese, and veggies to customize them. Tamale Co.'s tamales are works of art. Stuffed with filling and served up with the most impressive presentations, each time I encounter them I am impressed with their culinary artistry. Lovingly made with real ingredients, Tamale Co is hands down the most amazing tamale I have come across in my gluten-free travels. The truck's entire menu is gluten-free, and easily made dairy-free. Just let the staff know your dietary restrictions and they'll happily craft you a custom tamale. In addition, the black bean tamale is vegan, for all you meat-free readers out there. My typical order is one black bean and one chicken tamale smothered in verde sauce with all of the fresh veggies on the truck. As much as I am tempted to switch my order up, it's too good to pass up on! What is your perfect tamale creation? Comment below! Tamale Co has mastered the tamale, but they also have other offerings on the truck (depending on the venue). For drinks, they have bottled beverages, but also homemade horchata (not dairy-free) and aguas frescas (think flavored water). Their hibiscus herbal tea sweetened with agave is not to be missed, as it is a sweet, refreshing partner to the flavorful tamales. 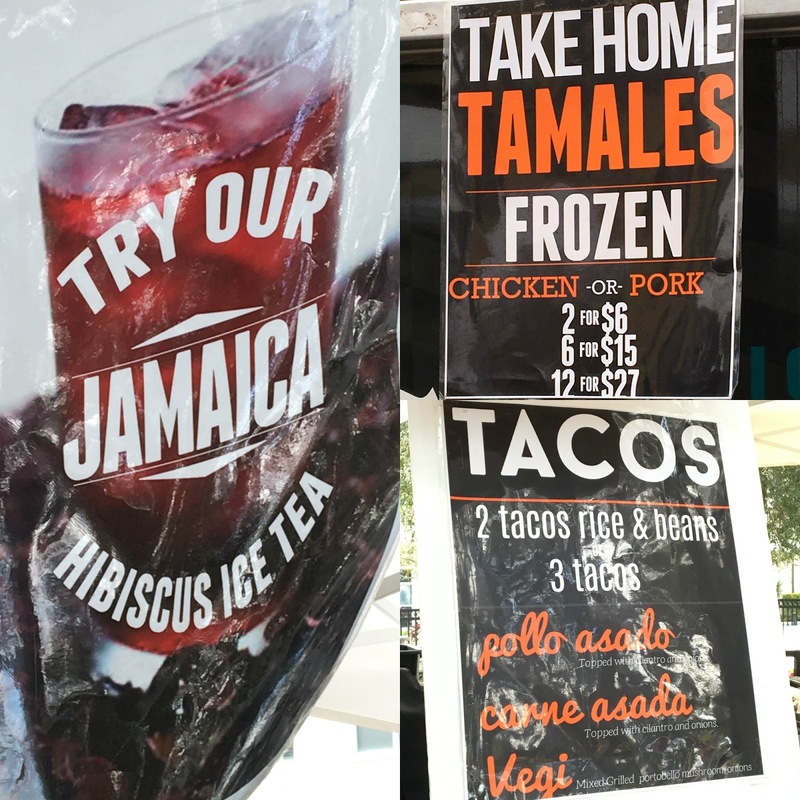 At the Orlando Farmers' Market at Lake Eola, I noticed that they now offer tacos. 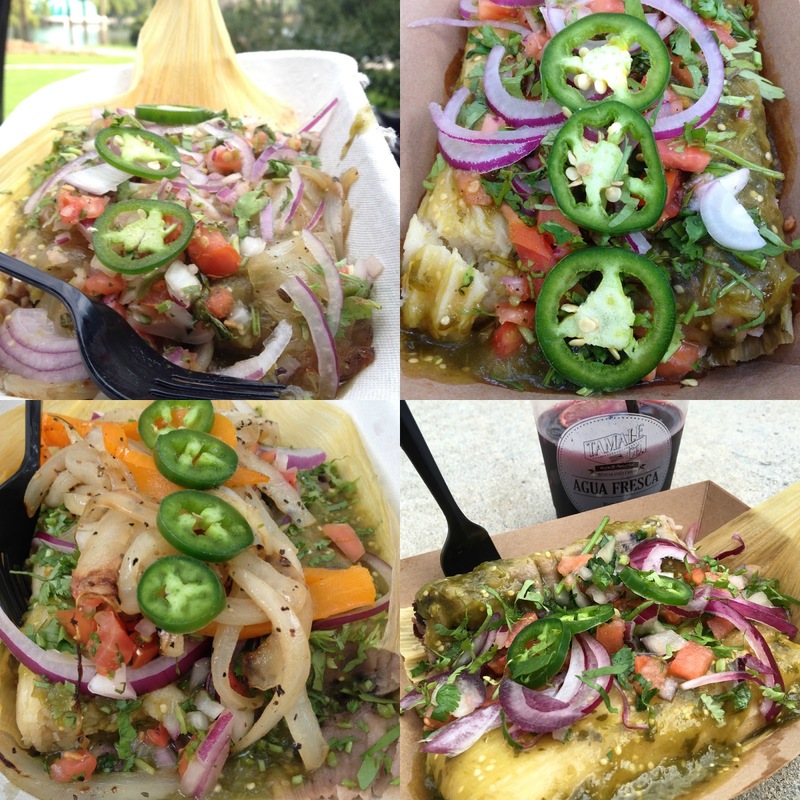 At the Winter Park Farmers' Market you can order frozen tamales off the truck to take home with you. The tamales reheat beautifully in the microwave, emerging steamed and heated as if delivered right off the truck. 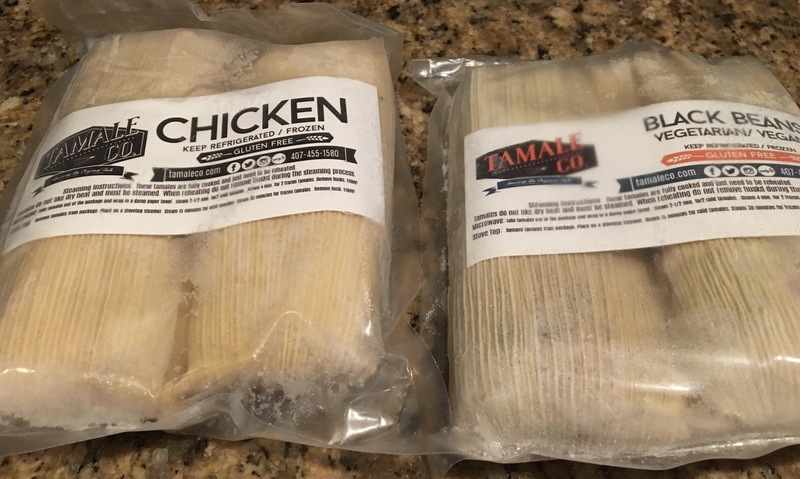 I definitely recommend always having a few stashed away in your freezer whenever you need a tamale fix. If there's anything else to say about Tamale Co it's that the people behind the tamales are just as awesome as the food they serve up. They always know how to make me smile and their passion for serving up amazingly fresh food shines through. To follow Tamale Co and their fabulous crew wherever they go, check out their Facebook, Instagram, and Twitter. They regularly attend the Winter Park, Winter Garden and Lake Eola farmers markets. That's nice! Their food looks affordable and delicious.